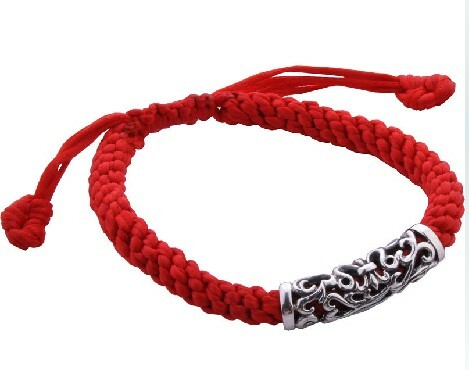 Handmade Tibetan Braided Lucky Bracelet Sterling Silver Bracelet. This tibetan bracelet was handmade in Nepal from sterling silver. Length: 190mm, adjustable. Width: 6mm. Sterling size: 34mm*8mm.